Got a new one last night on 17 Meter CW - 5W0COW - Samoa on 18.073 MHz at 00:34 UTC. An all time new one. He was calling CQ and was actually kind of lonely. New one in the books! I literally happened to be at the right place at the right time as I was putting the KX3 back to its home after its Field Day stint. Just to make sure everything was working properly, I fired up the rig and was twiddling the dial on 17 Meters, and the rest, as they say, is history! 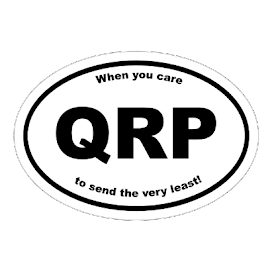 QRP - When you care to send the very lest! Hooray for Amateur Radio getting good press - at least in South Plainfield. I've pretty much recovered from the weekend, but am still basking in that post Field Day glow. One thing I forgot to mention ...... Dan KC2YRC and Dave W2OIL ...... in addition to everything else they did for us - they brought their drone on Saturday and took some video of the site from a bird's eye-view. If I get a copy, I'll try to post it to the blog. I saw a little of it and it was really cool! Is it possible to suffer from Post-Field Day Traumatic Disorder? After the weekend we had, I'd be inclined to say "Yes". But I mean that in a good way. Not that Field Day, in and of itself, was traumatic - maybe that Field Day coming to a close was traumatic! Marv K2VHW - our President, who has done a great job as our Charter President and stayed the entire 24+ hours of Field Day, even after undergoing back surgery earlier this year (and still on the mend). Marv provided equipment, operated and acted as our Amateur Radio Ambassador to visitors and dignitaries alike. The man is amazing. Ron N2LCZ - our Secretary, who once again planned and setup our computer network for scoring. Ron is the Wizard and Master of things binarily related. Without him, the logging task becomes that much harder. Wayne N2LRE - our Vice President who took care of publicity and was our connection to our Mayor and Town Council, which proclaimed the week to be "Amateur Radio Week" in South Plainfield. Dave KD2FSI - our Field Day Committee Chair - and so much more! Dave may be a "Rookie" Amateur Radio Op in terms of time; but in every other way, he is an "Amateur Radio Operator's Op". His energy and enthusiasm and his love for the hobby are contagious. He was, and continues to be the "heart and soul" of SPARC Field Day. He made sure the tent got up, arranged for our use of the County park and supplied equipment and operated. Dave is "Mr. Field Day" in every sense of that title. And through it all, even when he was dog tired, he had a smile on his face and a gleam in his eye. He is The Best, without a doubt. Phil KD2HPG - designer and builder of our "tower" for the beam antenna. Tim AB2ZK - provider of tables and coolers. Drew W2OU - Field Day veteran, Top Notch operator and the guy who gets our Field Day log to the League - a tough job, indeed. And the various guys who came out to help set up and operate and do all the leg work that it takes to make Field Day a success - Harry KC2GPX, Mario KD2HPF, Marty KB2JSG and Len WB2HKK and some others who I am most assuredly forgetting in the fog and haze of PFDTD. For that I apologize. Special thanks go to Dave W2OIL and Dan KC2YRC - two brothers who are Amateur Radio ops with hearts of gold! These two fine gentlemen are members of NJDXA and one of our sister radio clubs, the ETS of NJ. They helped bring over equipment, helped set it up, brought over delicious homemade food and drinks, stayed to operate and came back for tear down and clean up. SPARC Field Day would have been a way more gargantuan effort without their help. And right along side with them was another member of ETS - Hank N2MU - who came to set up and tear down; but who also came during the overnight to operate and keep us company for a while. Our thanks to these fine gentlemen. Their help and encouragement were priceless. Aniother special "Thanks" goes to Marty WB2BEW, who along with KB2JSG is a member of another sister club, the Raritan Radio Valley Radio Club. Marty lent us a canopy tent and was also there for almost the entire 24 hours. 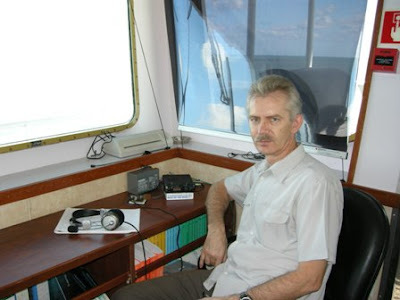 He gave of his expertise and experience and helped man the radios; and was invaluable to us in another very special way. A woman from town paid us a visit on Sunday. She brought with her, a very inexpensive, nondescript pocket AM/FM radio - the kind most of us had in the '60s. It had gotten wet and was inoperative, and she was distraught. Obviously, for whatever reason, this radio held a great sentimental value to her. She had read our announcement about Field Day in the local town newspaper and associated "radio" with us. Marty came to the rescue and took a look at it for her. She may have learned more about Amateur Radio this weekend than she ever knew before; but even if she didn't, she'll always associate "Amateur Radio" with the kind gentleman who took time to lend a helping hand.. That kind of exposure is priceless; and ..... if there ever was such a thing as an Amateur Radio Gold Star, Marty would deserve one, hands down. Field Day 2016 was a sunny and hot affair - a polar opposite of 2015. And the heat did not deter visitors - Bill W2UDT from the ARRL visited on Saturday. Shortly after, our Mayor and members of our Town Council also showed up to see the set up and (involuntarily) let us remind them, that we are ready, willing and able to assist the town in any way we can in the event we are ever called upon. SPARC operated the entire 24 hours of the event. Three or four brave and hearty souls stayed through the night. We had some guest operators and some other visitors as well. Several took the Amateur radio pamphlets that we had made available and we even got a visit from a couple and their son on Sunday, as they wanted him to see what radio and antennas were all about. He seemed particularly interested in the fact that everything (with the exception of our logging computer network) was powered by batteries that were charged by the sun. We operated 3A (battery) NNJ. If you heard us and worked us, we thank you! All told we had over 250 CW QSOs, over 115 SSB QSOs, over a dozen digital QSOs and once again, Dave KD2FSI attempted another satellite QSO. I could go on for pages telling you about our Field Day, but hopefully your Field Day experience was a good one too. The best thing about Field Day, though, is not the trials and tribulations that are overcome and mastered. It's not about the masterful operating exploits or even the good food. All these things are wonderful. The best thing about Field Day is the camaraderie, being with your friends and the many wonderful memories that are yours forever. Marv K2VHW with jacket - it got chilly overnight! Dave trying to get some PSK31 in. KD2FSI showing guest operator Mike KA2FIR how to navigate his rig's menus. Marty WB2BEW taking a turn at the SSB KX3. Marty WB2BEW performing emergency pocket radio surgery. All in all, it was a great weekend, and I'm already looking forward to Field Day 2017! This time of year is always so busy! Two weekends ago, our CERT Team was involved in helping out with crowd control and vehicle parking at a carnival in town. Last weekend was the Raritan Valley Radio Club hamfest; and Father's Day. This coming weekend is Field Day. In between all of that, I'm trying to get that magnetic loop built (which really shouldn't take all that much time! ), still do yard work and house work; and even get a few hours sleep in. Last night I went to Home Depot to buy some PVC for a stand for the loop. I was hoping to use a mini-photographic tripod that I have, but after taking the center column out, I found out that the 1/2" PVC that I am using is just a tad too large. For less than $10, I bought all the PVC pipes, tees, elbows and couplers that I will need. Oh, and while I was there, I bought two citronella candles for this weekend. Gotta keep those mosquitoes at bay. I am hoping against hope that NEXT weekend, which is a three day weekend due to Independence Day being that Monday, will afford me some time to get the loop built (in and amongst yard work and house cleaning). For the "prototype", I am going to use one of my hamfest bought capacitors and a deli meat plastic box for the enclosure. Most of that is already built. If I get any kind of results, I will go on to making the "finished" model with the good RF Parts purchased capacitor and the 6:1 reduction planetary drive, and a nice box. Maybe a trip to Hobby Lobby? I looked at my watch yesterday and it struck me that it's already the latter part of June. Where has the time gone? So much to do and so little time. I'll tell you one thing ...... Winter never seems to pass this quickly! I heard more stations and more activity. I worked N8BC who was at the James Garfield National Historical Site - NS39 on 40 Meters. Then, hopping on over to 20 Meters, I may have worked Bob N4CD who was at Bryce Canyon National Park (which it turns out, I have worked before). Bob was a very readable 559, but he gave me only a 229. I'm not sure he got my call right. I think he was sending my call as W2DJ instead of LJ. QSB was bad - very bad. When Bob was in the clear, he was very copyable - which was most of the time. The only time he became difficult to hear was when he was sending my call ........ of course. The hitch about working NPOTA stations during lunch is that I don't have access to my NPOTA spreadsheet. I suppose I could load it to my phone, but looking at spreadsheets on a cell phone is painful. So, if I can hear them, I'll work them and take the chance that it's an ATNO. Sunny and warm/hot with pleasant overnight temperatures and NO chance of rain. This will be a very welcome change from last year, which was soggy, chilly pneumonia generating weather. I'm still amazed that I didn't come down with something after last year's Field Day. All we need is for the Sun to get on the ball, so that the solar weather will be as agreeable as the terrestrial weather! If you're operating Field Day, listen for NJ2SP. We'll be operating "3A NNJ" (actually 3A battery - so we'll be strictly QRP) from Spring Lake Park in South Plainfield, NJ. I went out to the Jeep at lunch time to hear what I could hear. It wasn't much of anything. The cell phone and DX Cluster showed a few NPOTA stations on the air at the time. I couldn't hear any of them. I listened for a bit on both 17 and 20 Meters and the signals that I did hear were few and far between. So I began to call CQ. After about 5 minutes worth on 17 Meters, I moved back to 20 Meters and called there. In between calls on 14.061 MHz, I heard someone else start to call CQ below me. It was RA1M/MM. I moved down to 14.060 MHz, called and got an answer. It was Stepan who was off the coast of Newfoundland. Not only was he Maritme Mobile, but he was also using a KX3 at 5 Watts, so it ended up being a 2X QRP KX3 QSO. Stepan was my only catch for the day as it was time to come back into the office after we finished. Skeeters are a buzzin' !!!! 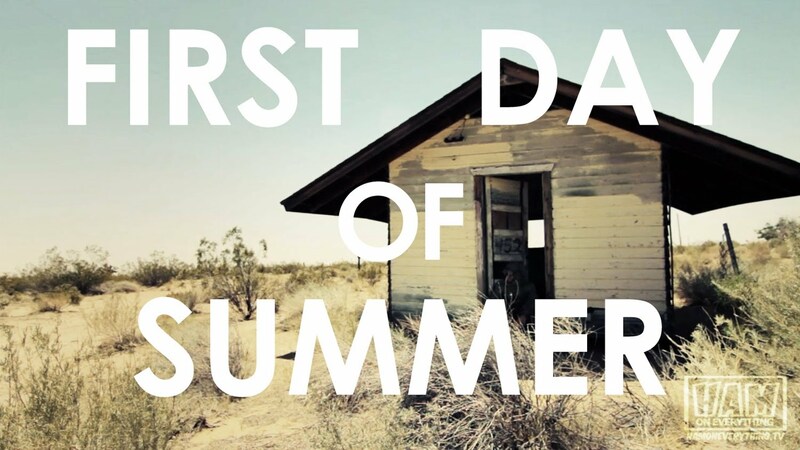 Happy 1st Day of Summer and "Thank You" so much to the first group of Skeeters to sign up for the 2016 NJQRP Skeeter Hunt! We're only 9 or so hours into the Summer and we already have 47 intrepid QRPers who have decided to join in on the fun. Make sure that you're one of them! So sign up for your Offical 2016 NJQRP Skeeter Hunt Skeeter number! Skeeter numbers will be issued starting Monday. 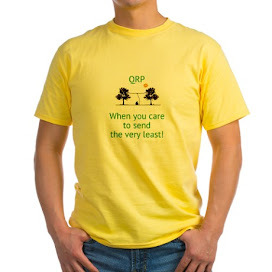 Get your QRP gear, get outside ......... have a blast! 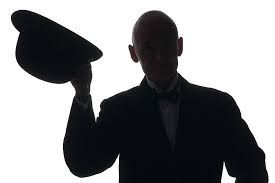 I really have to extend a hearty "tip o' the hat" to all you QRP SSB guys out there. Not being used to SSB operations, not being used to QRP SSB operations has provided me with a learning experience. 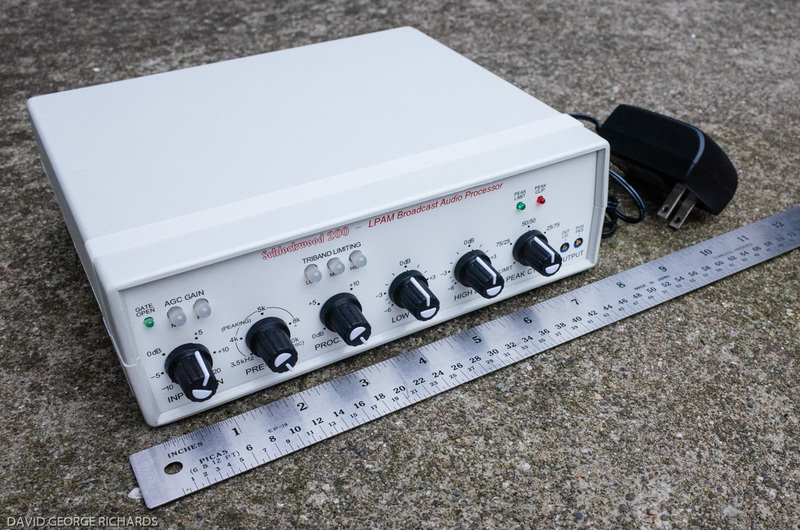 In your writer's most humble opinion, QRP SSB has a difficulty factor of 10X compared to QRP CW. Today during lunch time, I was hunting around for NPOTA stations on 20 Meters. Not hearing anything on the CW bands, I moved on up to the realm of voice - foreign territory, indeed!. There I heard two stations. K0USA on 14.260 MHz and K0RP on 14.340 MHz. K0RP was very weak, with QSB making it worse. K0USA was a good 5X5 into NJ and even 5X7 when QSB would let up. I decided to concentrate on Mary, who was the op behind the mic. It took the better of 15 minutes, but I got in the log - and it was a new one for me, MN46, the Homestead National Historical Monument in Nebraska. For her part, Mary did a superb job dealing with my weak signal. Only 5 Watts to the Buddistick has gotten me decent results on SSB in the past, but today, with the monstrous QSB, it was their beam (which was pointed south, by the way - I was off the side) and her great ears that made the difference. I owe her a ton of gratitude for sticking with me and granting me the ATNO. Getting back to the topic of SSB vs CW ..... I'm pretty confident in my CW skills. From past practise, it's pretty easy for me to gauge who is workable and who isn't. 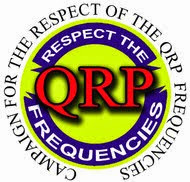 I still get surprised from time to time; but I've gotten pretty good at figuring out who I am able work and who I am not..
QRP SSB is still a crap shoot for me. Like I stated, it's foreign territory. To make things even worse, shall we say that patience is a "hard won virtue" for me? Living in New Jersey all my life, I'm used to the fast pace of the Northeast. Things, especially at work, are wanted yesterday. I'm used to dealing with that, and delivering those kind of fast results. The downside is, that I've come to expect that, in return. Waiting is still a battle for me. Not in all situations, but in many - especially when I am dealing with myself. QRP SSB is an extra hard challenge for me and will be for quite a while. The upside is hopefully, I'll become more skilled at it; and I'll also gain more patience, because of it..
1) The coax from DX Engineering was delivered last Friday. 2) The variable capacitor from RFI Parts arrived in the mail on Saturday. 3) I bought the PVC pieces for the frame that I have in mind, weeks ago. It's a 6:1 ball bearing planetary reduction drive. It was $18.00 plus shipping from http://www.orenelliottproducts.com. This should make a big difference tuning the antenna, considering I don't have the lightest touch in the world. All that's left to come up with is a enclosure for the capacitor. 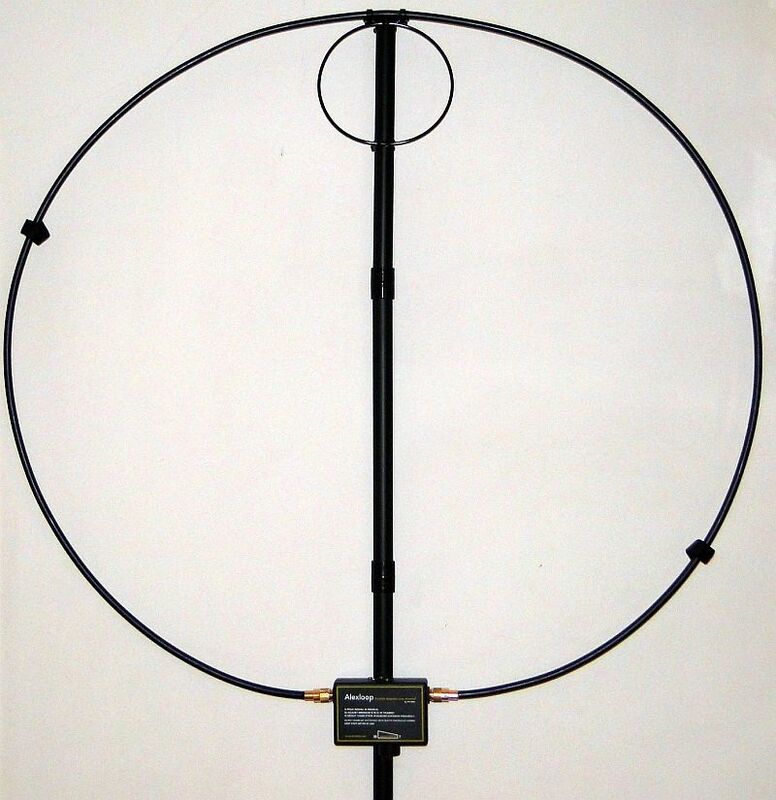 The Raritan Valley Radio Club hamfest is this Saturday, maybe I can find something there. The toughest part of this entire project is probably going to be to find suitable time, however. This weekend is the hamfest and Father's Day. Next weekend is Field Day. 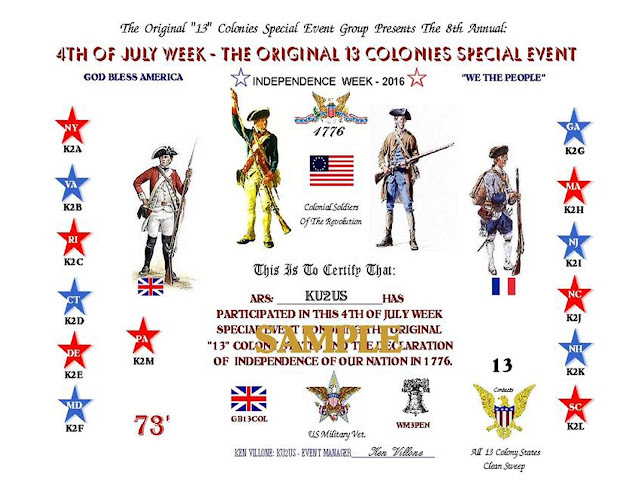 On the bright side, however, is that the following weekend is the long Independence Day weekend. I'll get this puppy built then, if not sooner. So far, in parts and shipping, I'm still under the $150 mark. That's less than half the price of most of the commercially available loops. Of course, theirs are pretty much guaranteed to work, out of the box. Mine should, but you never know until you're done. If it does work, I have the satisfaction of knowing that I built it myself - and that I would have no compunction about modifying it to make it better - or perhaps tearing it apart to build a second, better generation. 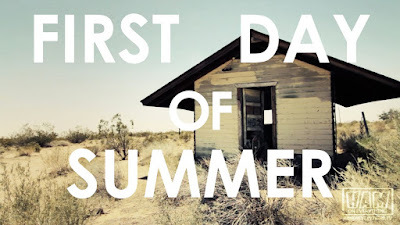 that next Monday, June 20th, is the first day of Summer. And you know what that means ..... Skeeter numbers will start to be issued that day! Beginning this year, the Hunt has been moved to the third Sunday in August in order to even out spacing a bit between FOBB, the Skeeter Hunt and the NoGA Peanut Power Classic. Also, there are some rule changes for 2016 in order to more fully incorporate NPOTA into the Skeeter Hunt. Make sure to check them out at www.qsl.net/w2lj. I heard NC8N running an NPOTA entity on 40 Meters while listening on the Buddistick. Since the Buddistick doesn't load up well on 40 Meters, I quickly switched over to the Hamstick. By the time I got the Hamstick on the magnmount, NC8N went south in the QSB and I couldn't hear him any longer. Typical for W2LJ. I switched back to the Buddistick and 20 Meters and worked good friend and fellow QRPer John N8ZYA. After a very short contact, I worked KP4/W2PK. Not that Puerto Rico is rare, but there was bit of a pileup. Not being able to resist trying to break a pileup with QRP, I jumped in. After figuring out the QRG frequency, it only took a few calls and the pileup was busted with 5 Watts. Conditions weren't terrible, but they weren't great, either. At least Ol' Sol had 39 freckles today where last week, he had none. Hopefully, things will improve as we inch ever closer to Field Day. Last week, Dave KD2FSI brought his AlexLoop to the monthly South Plainfield Amateur Radio Club operating night. I was impressed by how easily it went together and how relatively easy it seemed to tune. I would love to have one myself, but the retail price is a bit out of my budget, so I decided to homebrew one, instead. 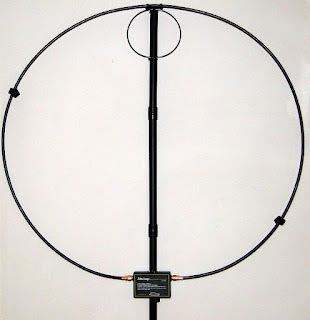 Last night, I ordered 25 feet of LMR400 from DX Engineering - enough to make two loops with left over to spare. 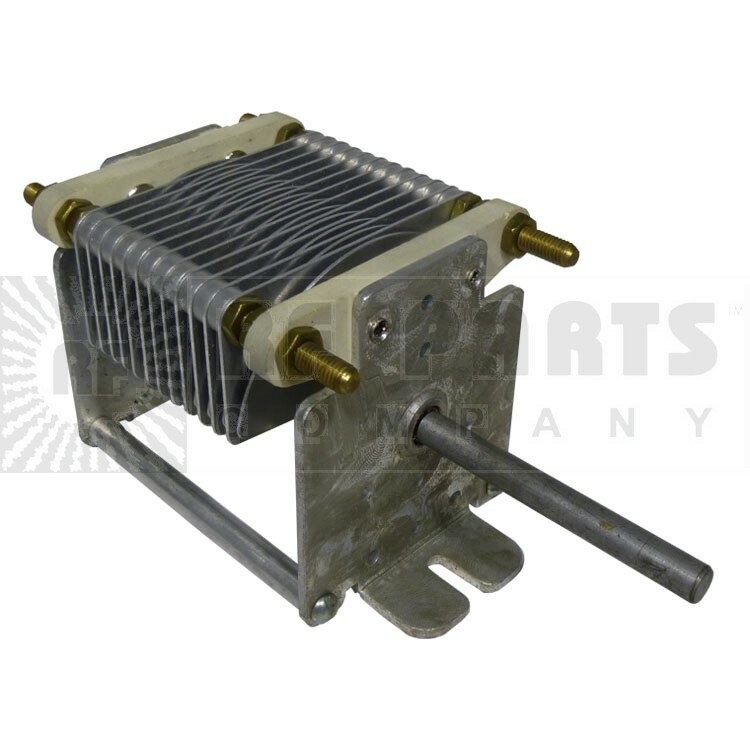 Then I went and purchased a 20 - 240 pF air variable capacitor from RF Parts. I already have some PVC for a frame - all I really need is a box for the enclosure for the capacitor. I've read several articles by Steve AA5TB, Julian G4ILO and others. I think I have the construction concept down and if all goes well, in a few weeks, maybe I'll be playing around with a W2LJ Loop. The only thing I'm not sure of, and have to think about, is how I'm going to get this to mount to my Buddistick tripod. I think I may have to bug Dave again and take a look at how his mounts to his tripod. As I build, I'll take plenty of pictures and will post the saga here. The sunspot count is up to about 12, I believe - so maybe things are looking up! This evening, just before dinner, I heard N0UR on 30 Meters, operating from NPOTA NP31 - Isle Royale National Park. I worked him, but I had a slight hitch in my sending and I knew I goofed it up as soon as I sent my call. Instead of coming back to W2LJ, I heard Jim come back to W2REJ. Just the teeneist, tiniest hesitation between those last two dits in the "L". Argh! QSB kicked in and I couldn't hear if Jim heard my corrected call. After dinner, I took a chance that Jim was still on frequency; and luckily he was. I also took the chance at being a pain in his keister and worked him again. Second time was the charm; and I heard my call come back the correctly. Whew! I saw on the DX Cluster that 6 Meters was open, so I took another chance and twiddled the dial for a bit. Even though the HF9V is made to work on 6 Meters, that's really pushing it. It loads and I get a decent SWR reading; but I think we're talking highly inefficient compromise, here. In any even, I heard and worked two stations - N4GG at EM74 in Georgia and NV4B at EM64 in Alabama. Even though it was only two stations, it was a lot of fun. 6 Meters is a relatively new experience for me. It's neat to see how those borderline HF/VHF signals travel. If I can get something halfway decent built and up, maybe I will hear and work more. Another project in the long line of many! 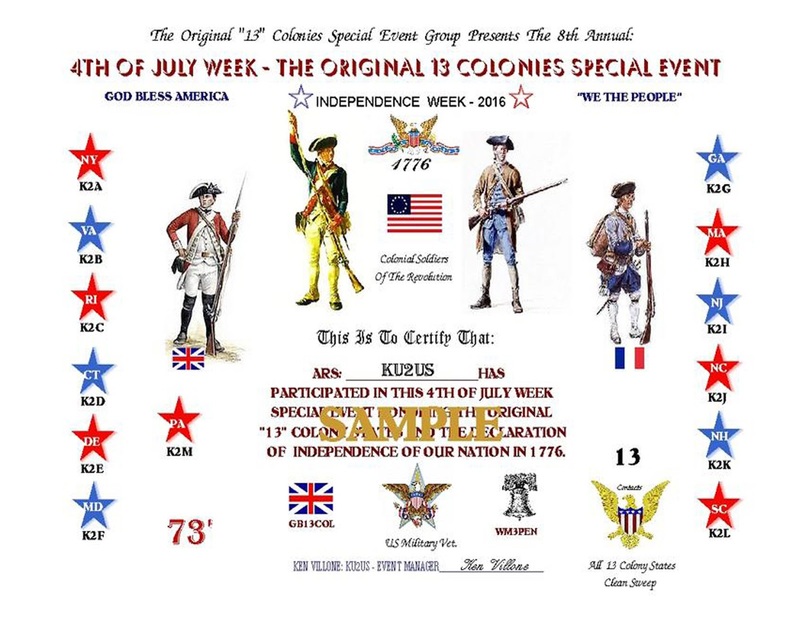 less than a month from now, the 13 Colonies Special Event will be in full swing during Independence Week - July 1st through July 6th. I had a real good time hunting down and QSOing with all 13 Colonies in 2015 - I'd like to do it again using only QRP CW, but there are too many Colonies that do not operate CW at all. 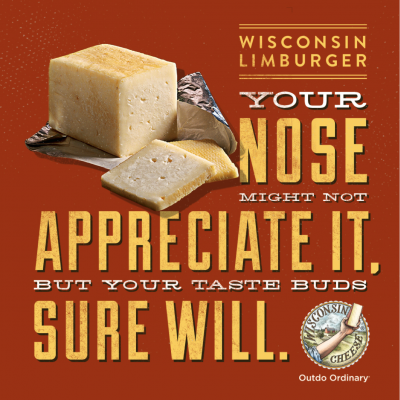 It is a fun event which I heartily endorse. It never hurts to learn a bit of history while engaging in the World's Best Hobby. That about says it all, doesn't it? And here I was, wondering why I've been hearing so little on the bands. Looks like, even though we'd be battling summer static, 80 and 40 Meters in the evenings might be the best bet for decent QSOs. It might also do me in good stead to get something decent up in the air for 6 Meters, to take advantage of this time of year. I think that in my close to 40 years in Amateur Radio, that you can count on one hand, the number of QSOs that I've made on 6 Meters. Admittedly, up until owning my KX3, I never had 6 Meter capability before. Add to that, that I've never had a decent antenna for 6 Meters, either. I'll have to Google the subject to see if I can't homebrew something decent. Anyone have suggestions? I've been fortunate enough the past few days to be able to head outside to the Jeep during lunch. Unfortunately, band conditions in my area have been akin to Limburger cheese ..... kind of on the stinky side. I heard only one signal on 17 Meters and that was a Stateside station calling "CQ DX". 20 Meters was largely dead, although John ON4UN was busting through with a 599 signal. Considering the amount of aluminum he has hanging in the air, that's no surprise. I've worked him several times and was tempted to try again, but he was looking for NA DX and I highly doubt he needed another QSO from that rarest of States, New Jersey. The lack of signals was so bad that I even ventured up into the SSB portion of the band to hear what I could hear. Not much there, either. Other than one XYL telling her friend about her car's recent mechanical troubles, I heard one or two Italian stations and that was about it. No NPOTA stations, no SOTA stations, no QRP stations were heard. Calling CQ for a few minutes, yielded nothing, either. I hate days like this, although it's days like this that make me appreciate K3WWP's streak even more. There's an active post on the ARRL NPOTA Facebook page, where someone is lamenting the fact that some of the NPOTA Activators are not loading up their logs to Logbook of the World in a "timely" enough manner to his satisfaction. I think we have to keep in mind, that for many of the Activators, this is not a "free" exercise. Maybe they have to pay to get into a National Park, perhaps not. Destinations a long way from home involve gas, wear and tear on the car, perhaps even lodging and meals. There are also other considerations that don't involve money, but still involve expense. Time away from home, friends and family. These all factor into the equation. Yes, Activators are putting the Parks on the air, because they want to. No one is holding a gun to their heads. So they pretty much ignore the personal expense because they're having a good time and are getting some personal satisfaction from doing their activations. At the same time, they are giving all the Chasers something invaluable, too. They are giving you a good time! They are providing you with something fun, something exciting, and new. There have been anecdotes told of those who have their dwindling interest in the hobby rekindled because of NPOTA. In my own personal experience, I had a dormant Ham come up to me while I was activating the National Gateway (RC08) at Sandy Hook, NJ. He saw my antenna and me, sitting at my little table, putting The Hook on the air. He bicycled up and introduced himself with this name and call and proceeded to ask me "What's going on?" He then proceeded to tell me how he was licensed, but was inactive. I in turn, explained all about NPOTA and portable ops. Not only was his interest in the hobby rekindled (you could tell by "that look" in his eyes), but he also brought his young son over to take a look. You could almost see the light bulb go off over his head. To him, the idea of not being stuck in a Ham shack, but being able to be operate outside in the sunshine, with the breeze in his hair struck a resonant chord with him. It was almost like he never thought of the possibility before. Let's also not forget that NPOTA is not a contest. Yes, there's a Leader Board and yes, stats are being kept; but that doesn't mean that NPOTA is radio sport and nothing else. If anything, it's an operating event - designed by the ARRL to put a new, shiny face on our wonderful hobby. With that, I'm going to go off on a tangent here, and am going to state my personal opinion that Amateur Radio has gone somewhat off the rails and has become too much "radio sport". We worry too much about DXCC tallies and contests in general. Look, I'm as guilty as anyone else in that regard, as I run a QRP contest each August ........ but what's happened to the rag chew? When was the last time you had a QSO with a DX station that was more than "599 TU"? When was the last time you talked about the weather with a foreign Ham, or about some other subject not related directly to radio? I remember when I was a Novice in the late 70s, and actually had conversations with DX stations! I know, unheard of, right? And the QSL cards I received actually contained friendly letters, sometimes with photos of the DX Ham's station or hometown. Why have we largely gotten away from that? That was the best part of the hobby! Before I get accused of contest bashing - let me state that radio sport has its time and place. There are people that exist only for that - and that's fine. That's another facet of this hobby that is perfectly legitimate. However, it seems to me that we've let a little bit too much of that mentality creep into the rest of our hobby. We worry too much about scores, standings and results. I think what we need to do is slow down and enjoy the journey and not worry so much about the destination. The journey is the fun part and the destination should be the fond memories of the things we enjoyed along the way. We need to exist for each other, not just for standings, results, wallpaper and trophies.